The Iion son of Mysore Tipu Sultan said, "lf one is to live, he should live like a lion, living a 100 long years like a sheep issueless," S. Lachhamn Singh Gill lived short but really like a lion. ln just a tenure of 9 months as Chief Minister of the Punjab he did something which charismatic leaders can't do in years. Gill made Punjabi language the Queen at a time when many of its own sons were feeling ashamed of its accession, Gill has thus carved out a niche in the history of this deprived language. We, reproduce an article by l.S. RAZ written sometimes ago. After the dawn of independence a towering personality appeared on the political scene of Punjab. Without mentioning him, the post independence history would remain unauthentic and incomplete. This was Late Lachhman Singh Gill who during his stormy and brief regime, not only gave our mother tongue, Punjabi its due place but also boosted the morale of bureaucracy. The whole story is still remembered by those who knew Gill and were his friends. It happened that Punjab made a tremendous progress in the industrial as well as agricultural sector under the able guidance of Kairon. While Partap Singh Kairon succeeded on all fronts with his keen sense of observation and extensive knowledge of Punjab affairs and its people, all his efforts to solve the language problem of the state did not mature as the majority of Hindus were not prepared to accept Punjabi as the official language of the State, The Hindus and the Sikhs were so divided on the issue that it became a constant headache for the centre. Unfortunately, even after the formation of Punjabi Suba, the Hindi Punjabi controversy remained unresolved as before. It is a well known fact that Gill was instrumental in bringing late Sant Fateh Singh in the political field with the result that the prominent Akali Leader Master Tara Singh suddenly went into oblivion. During the last days of his life he was repenting on this, especially when after the formation of Punjabi Suba Sant Fateh Singh let him down by nominating Justice Gurnam Singh a new entrant in Sikh politics, as the leader of the Akali Legislature Party. Disgusted with the attitude of the Sant, Gill raised hell with the party high command and revolted against Justice Gurnam Singh which led to the fall of the Ministry headed by Justice Gurnam Singh. 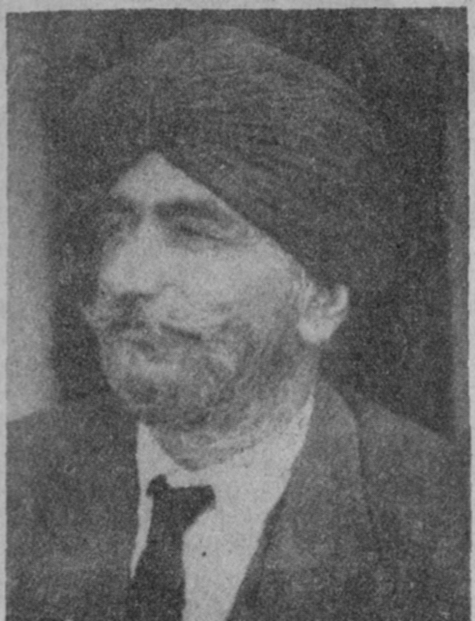 Then Lachhman Singh Gill became the leader of the Akali Legistlature Party and consequently the Chief Minister of Punjab. Within a month of his taking over an official language Act was passed 'declaring Punjabi as official language of the State', and Hindi to continue as a link language between the Centre and the Punjab State. Just a week before the Baisakhi of April, 1969, he light heartedly told his friends that on the auspicious occasion of the Birthday of Khalsa, the illiterate persons in Punjab would become literate. This is what exactly happened on the Baisakhi day when English typewriters were replaced by the Punjabi typewriters and all the officials were bound to learn the language of the State in right earnest. This set at rest the long standing friction created between the two sister communities by the ticklish problem of the State language. Thus the credit for giving rightful status to Punjabi Language exclusively goes to this dynamic leader of Punjab. Frankly speaking, his achievements in the field of link roads and rural development recede into the background before his historic achievement of making Punjabi as official language of the State, Punjab will remain ever indebted to him for all times to come. This great son of Punjab was born in 1914 in a Jat Sikh family in village Chuhrchak in District Ferozepur (now District Faridkot). This village was the stronghold of revolutionaries. Lachhman Singh Gill was brought up in an atmosphere of revolution which later on turned him into a patriotic nationalist to the core. Before independence, he was jailed twice for his anti British activities. To him also goes the credit of saving the lives of hundreds of Muslims who were victims of communal frenzy followed after the partition in 1947. For sometime, he remained President of Post and Telegraph Union of Delhi unit. This gave him the opportunity of entering into close contact with Jaya Prakash Narayan who was the Chief Patron of All lndia Union of Post and Telegraph. With the decline of Socialist Party, Lachhman Singh Gill, feeling the pulse of 'Panth', joined the Akali Dal and remained its front ranking leader till his death. Although the period of his stewardship was much brief, only nine months, his achievements were second to none including Partap Singh Kairon who ruled the State for as many as eight years. On the top of it all, Lachhman Singh Gill was a friend of friends and did not get drunk with the wine of power a rare trait nowadays. His untimely death removed from the Punjab's political scene a man who lived and died for 'Punjab, Punjabi and Punjabiat'. Thus Gill with his short stint as Chief Minister of Punjab has created an honourable place in its golden history.